Fredy M. Peraza Ayala, 77 years old of Pawtucket, passed away Wednesday at Hope Hospice Inpatient Center in Providence after an illness. He was the widower of Maria Perez Rodriguez. Fredy was born in Fajarda, Puerto Rico, a son of the late Narciso Peraza Garcia and Jorgina Ayala. He had been employed as a security guard for most of his life. He is survived by two daughters, Kasandra Peraza of Woonsocket and Yamilex Peraza of Puerto Rico; four sons, Jose Peraza of Central Falls, Luis Peraza of Pawtucket and Calines and Israel Peraza both of Puerto Rico. He also leaves 14 Grandchildren and 14 Great Grandchildren, nieces and nephews and many friends. 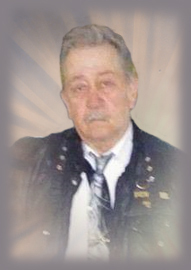 A Funeral Service will be held on Monday at 11 AM in the Coelho Funeral Home. Relatives and friends are welcome to attend and may visit at the Funeral Home From 9 AM Burial will be in Walnut Hill Cemetery, Armistice Blvd. Pawtucket.